This delicious Whole Starch Low Fat Anytime Meal Plan can be yours when you join the Forks Over Knives Meal Planner through our website! Just click any of the links on this page & sign up for a 1-week free trial (no CC required) with INSTANT access to a sample meal plan. When you upgrade to the 30 day money back guarantee you will get 100s of Whole Food Plant Based recipes (all no-oil) & weekly delicious & easily customizable meal plans & access to these WSLF recipes! This offer is only valid from Nov 24th 6am to Nov 27th 6pm! 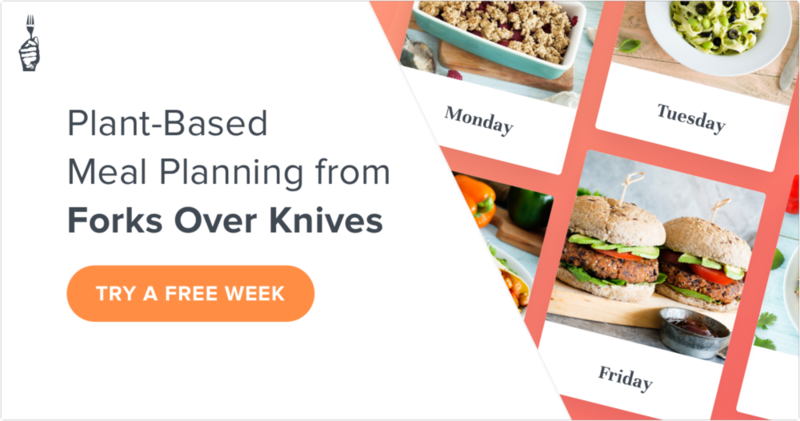 There are many wonderful meal planning services in the vegan community & we are so thrilled to be able to partner with Forks Over Knives to bring our community the MOST DELICIOUS & health supporting plans out there! Choose from 1000s of recipes & get weekly 5 day meal plans designed by our experts! Family & kid friendly, easy serving size adjustments, printable recipes & grocery lists & weekend meal prep guides for all plans, even custom ones you create from the recipe library! No Credit Card Required, try a FREE Plan for just entering your email! Could it be any easier to get a jump on healthy?